The Husband Family Funeral Home provides a full range of services. We pride ourselves on providing incomparable quality and value to our clients. We offer a variety of options from a simple burial or direct cremation to a formal funeral or memorial service with visitation and catering services. Our staff will assist you with creating a memorable experience to honor your loved one. Several funeral and cremation packages are available, all which include the professional services of our funeral director and staff. This includes conducting the arrangements conference, planning the funeral, consulting with the family and clergy, shelter of remains, preparing and filing necessary documents, obtaining required authorizations and permits and coordinating with the cemetery, crematory, or other third parties. Transfer of deceased to our funeral home. Care and preparation of the deceased, including embalming, cosmetology, grooming, dressing, arranging in the casket, alternative care and restoration. 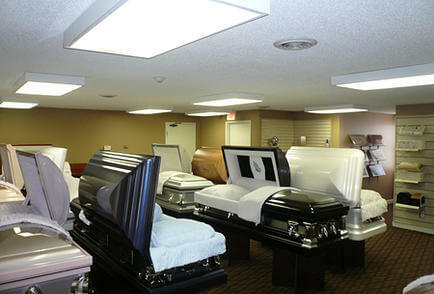 A large selection of merchandise including caskets, vaults, urns,monuments/headstones, burial shrouds and clothing. Transportation for the family and deceased. Preparation and filing of legal documents, permits, and death certificates. Making arrangements for transportation of deceased to a distant location when necessary. Planning funeral or memorial services and visitation, whether in or outside of our facility. We honor all pre-need service contracts. 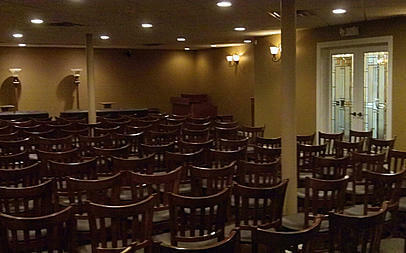 Main Chapel seating for up to 150. Small Chapel for smaller services or visitation. Repast/banquet facility for those who wish to cater food or refreshments before, during or after visitations or services.